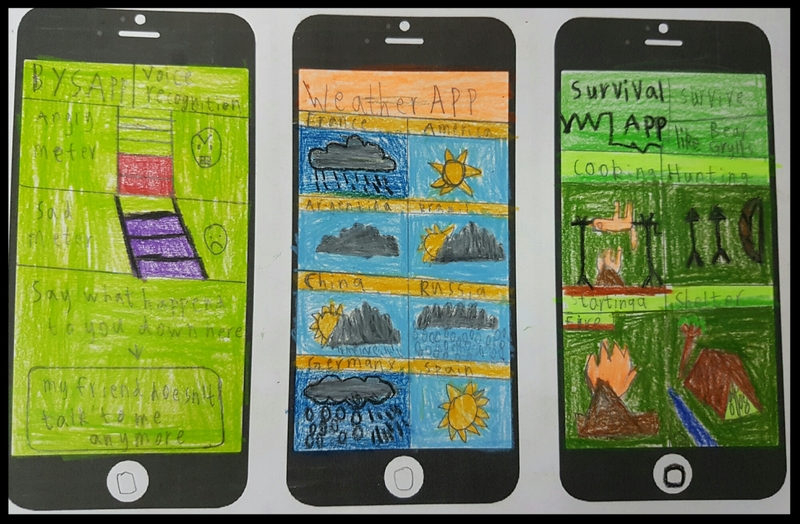 Challenge your pupils to design an App! 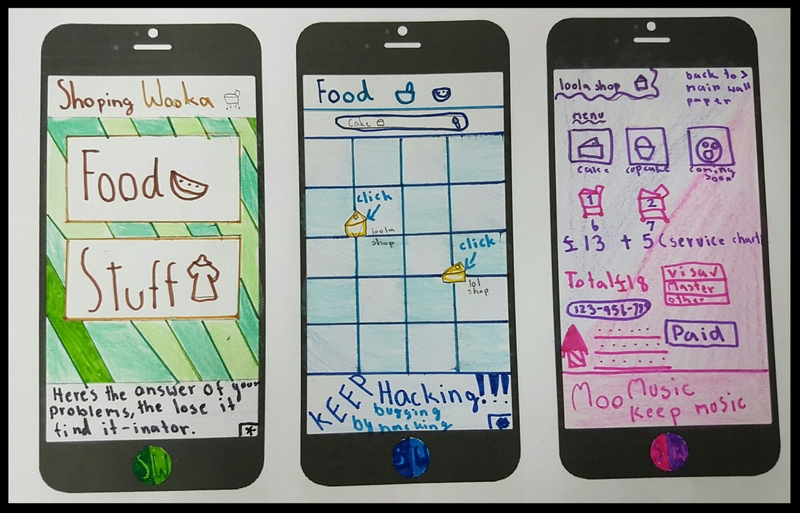 Recently I asked my students to design a new app. I kept the explanation brief and just told them that it would need to be useful or entertaining. They began by researching ideas in teams. After, they discussed their ideas and came up with a final concept. 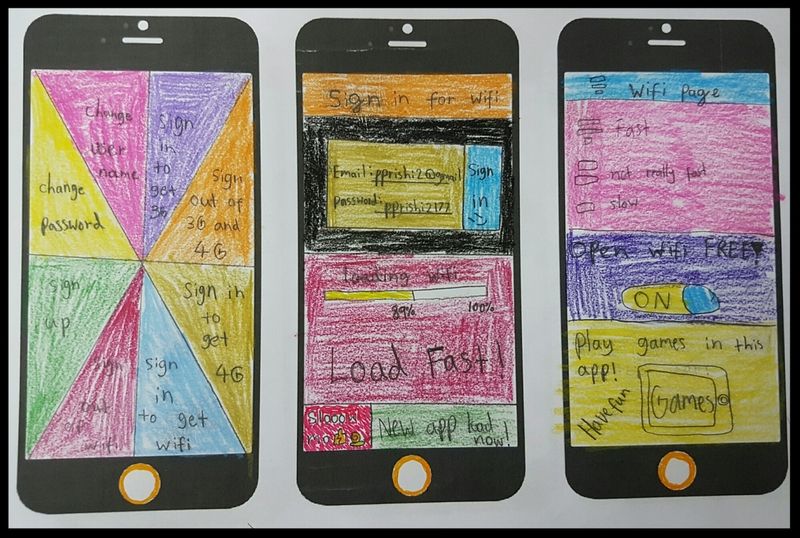 Finally, I printed a template and the students created a user interface. Here’s the template I used: Iphone Template . This app uses a GPS tracker which a child wears as a wristband. If they get lost, the parent can use the app to locate them. A useful app which finds new music by scanning the current music in your phone. Online bullies and trolls can be instantly reported to a teacher or parent with this app. This app allows you to scan your shopping and find the total amount. It also gives you handy discount vouchers. For people who like adventure and exploring, this app tells you the weather forecast, survival tips and has an emergency button which instantly alerts the authorities with your current GPS coordinates. Put GPS stickers on things you are likely to lose i.e. your keys. When you can’t find something, this app will show you where it is. Alternatively the sticker also has a mini-speaker which the app can activate, causing it to beep. Challenge your students and let me know their ideas by commenting below. Previous A nifty tech trick to increase the accuracy of recording in science lessons. Next My article for the TES: How to… Use technology to support assessment. This is awesome!! Clever kids! I had my students do the same. So much fun I designed a lesson for others. Check it out!